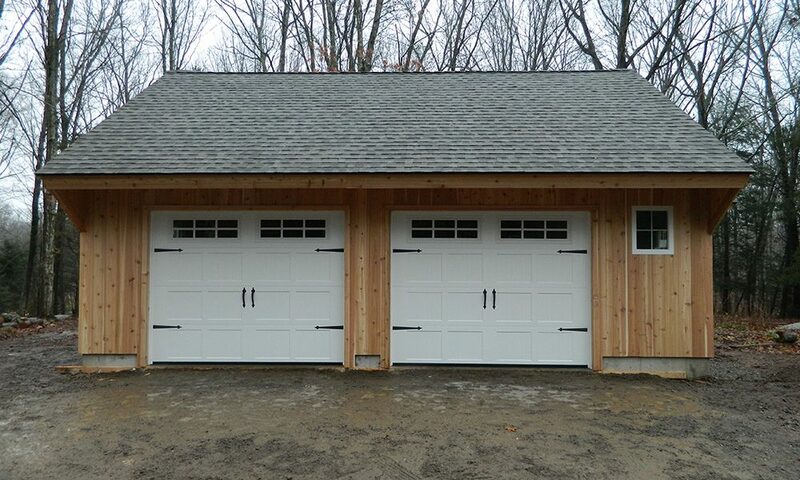 Subtle free standing 2 car garage tucked away in Killingworth. 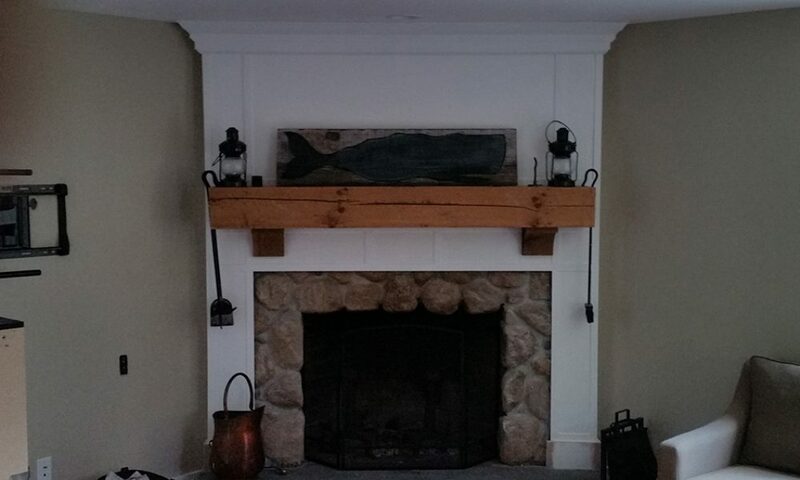 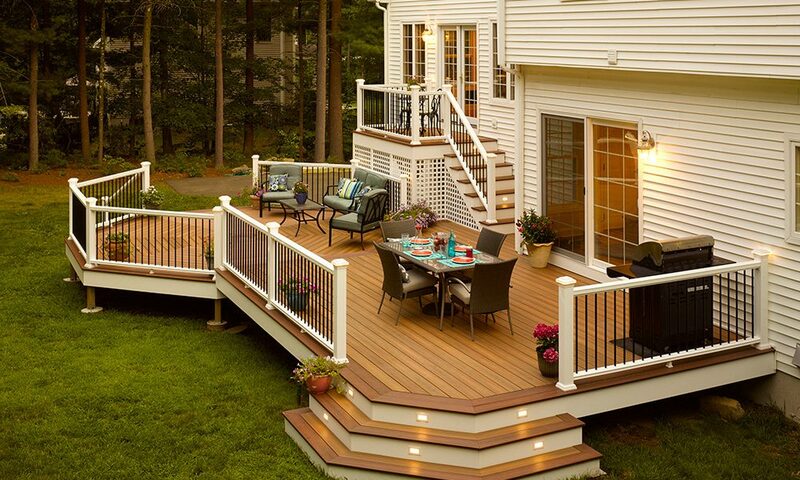 This large colonial house in north Guilford was in need of a deck. 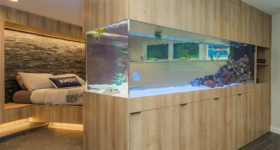 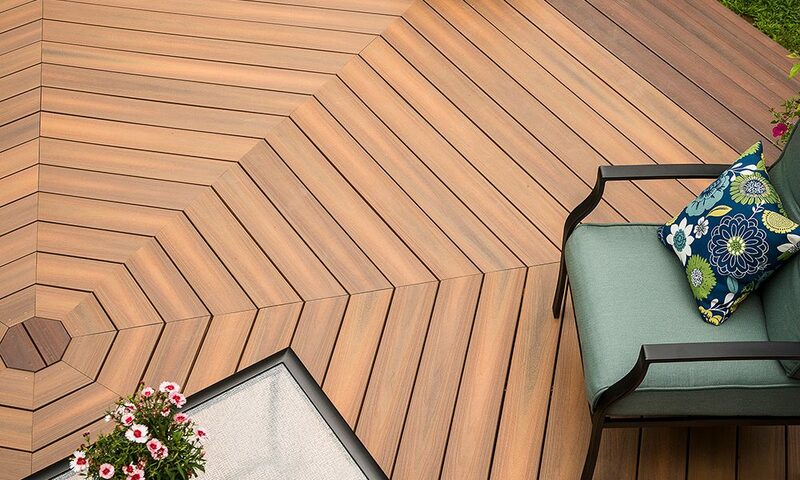 The clients submitted a video for a chance to win a new deck and won. 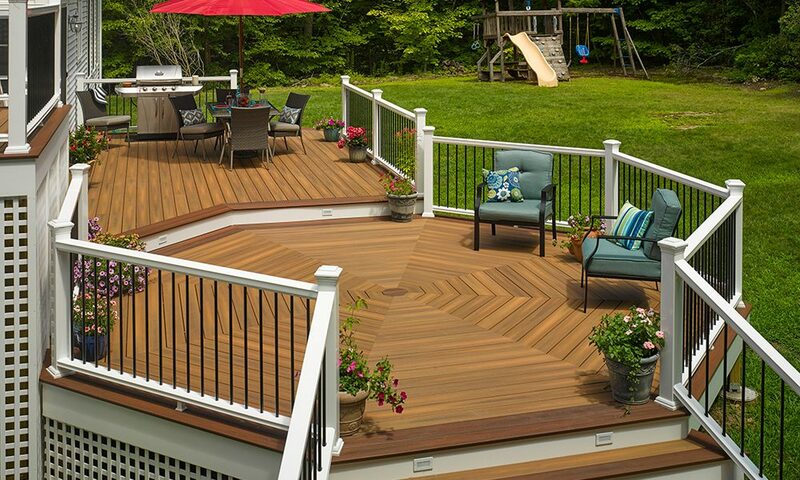 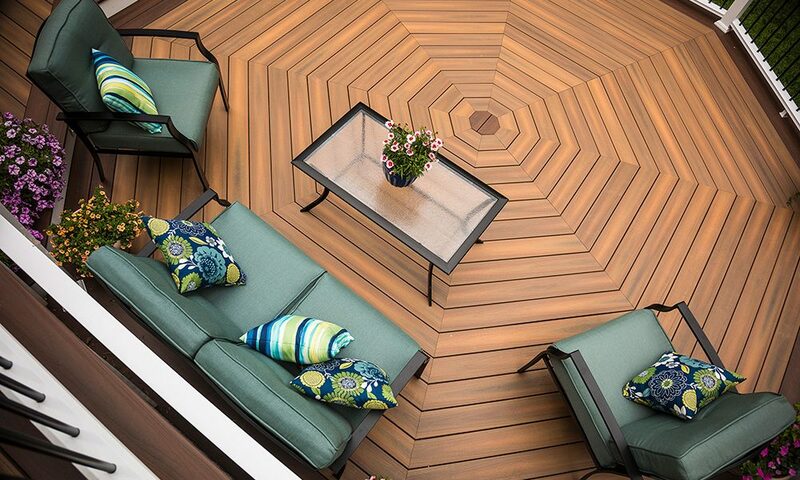 With the help of Fiberion decking we were able to build them a dream deck. 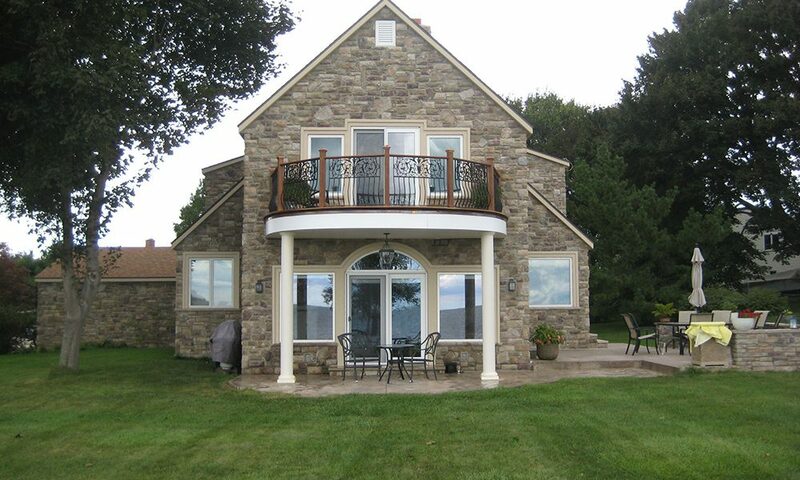 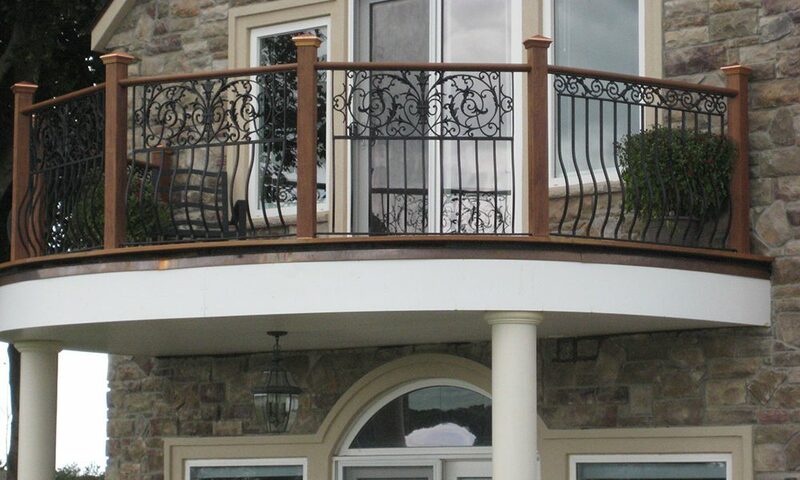 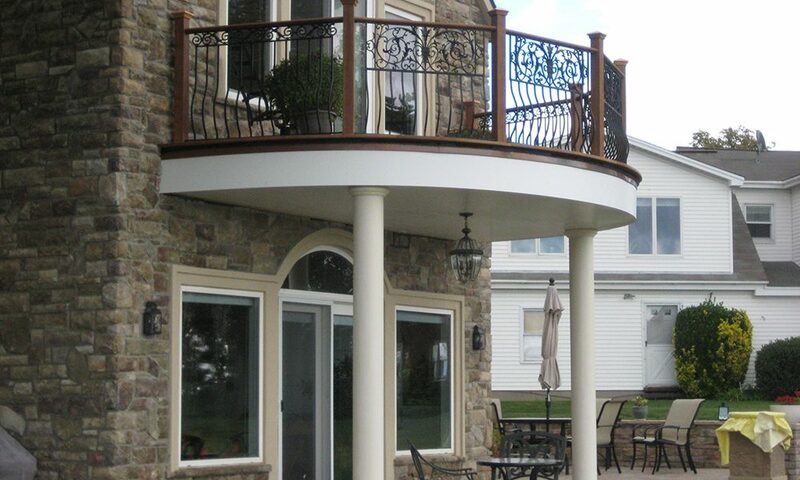 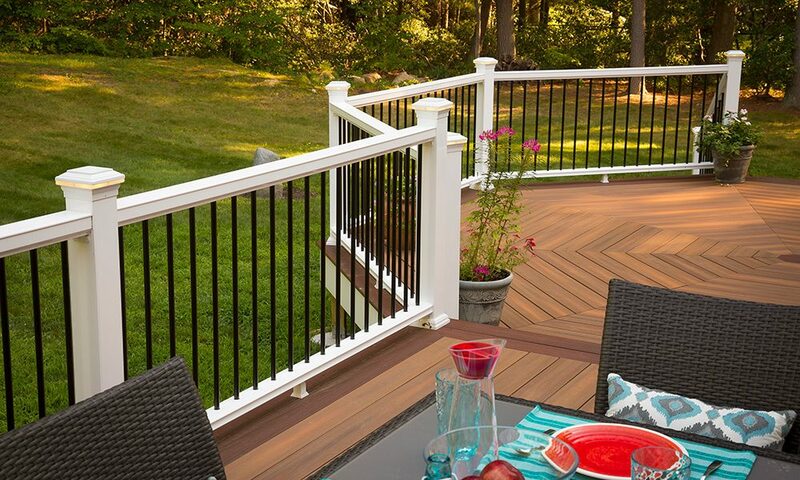 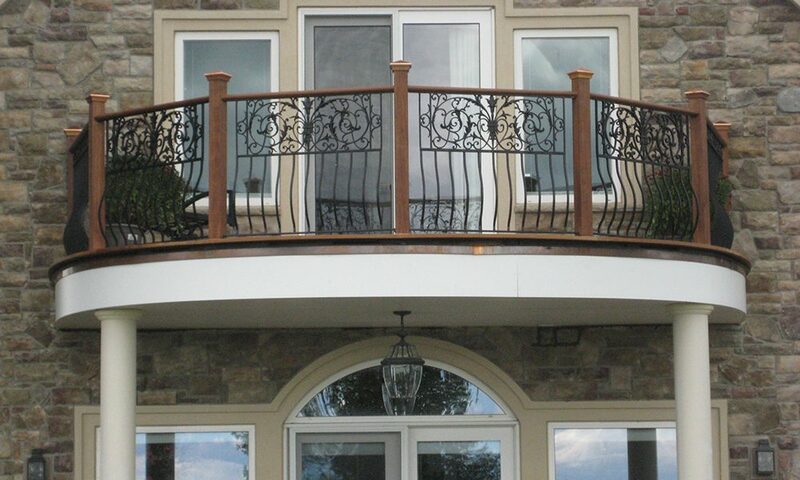 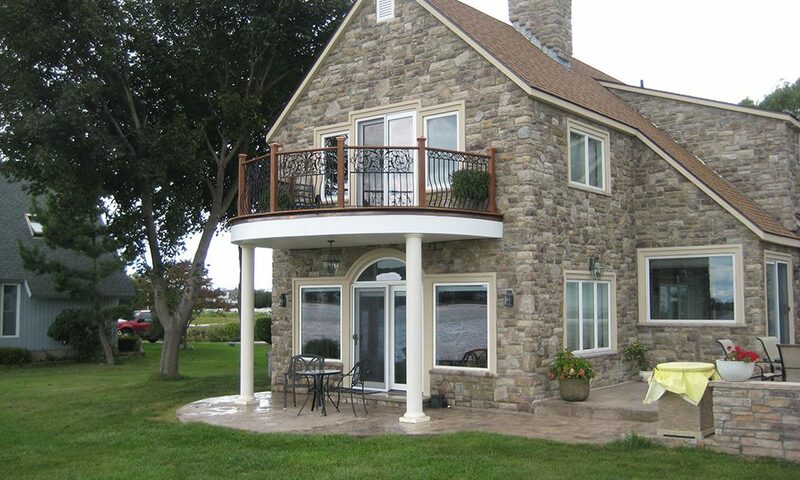 We used PVC decking with the hidden fattener system, PVC railings with round metal balusters, and PVC trim boards. 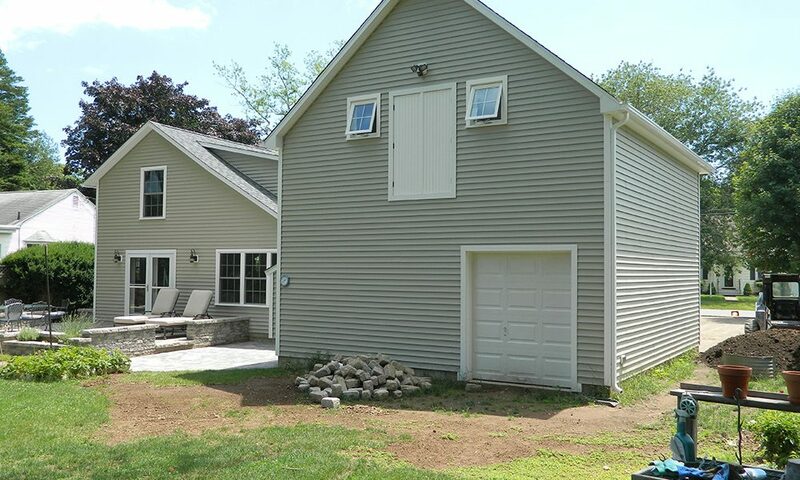 This growing family in Guilford need some additional space but did not want to leave there beautiful spot along the river so we added a master suite complete with walk in closet and on suite bath. 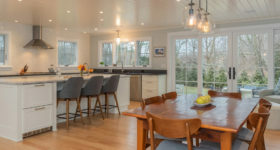 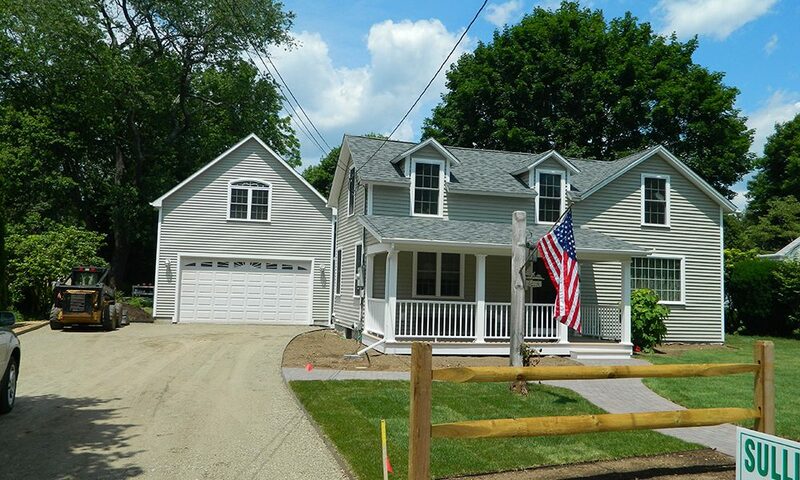 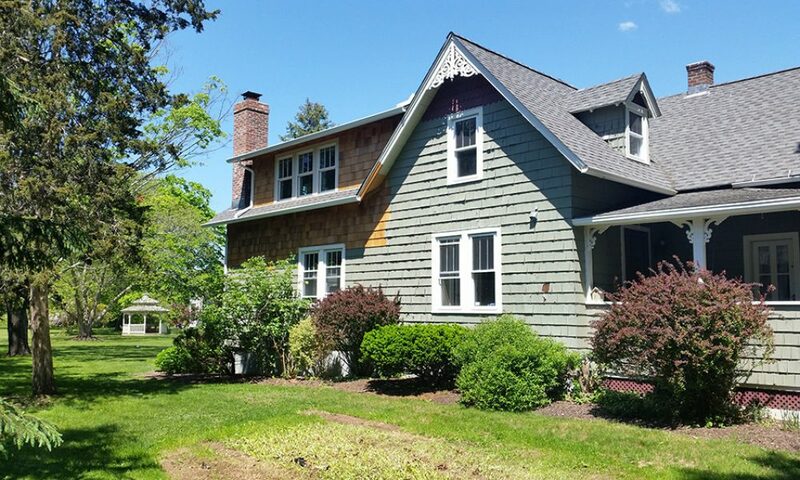 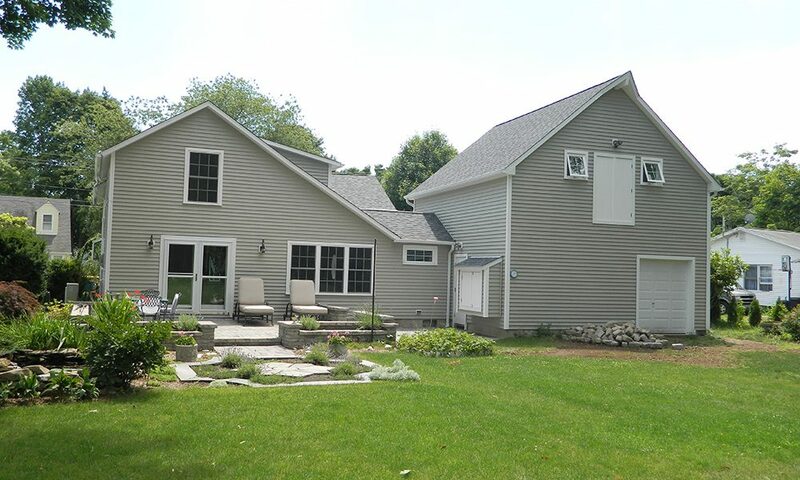 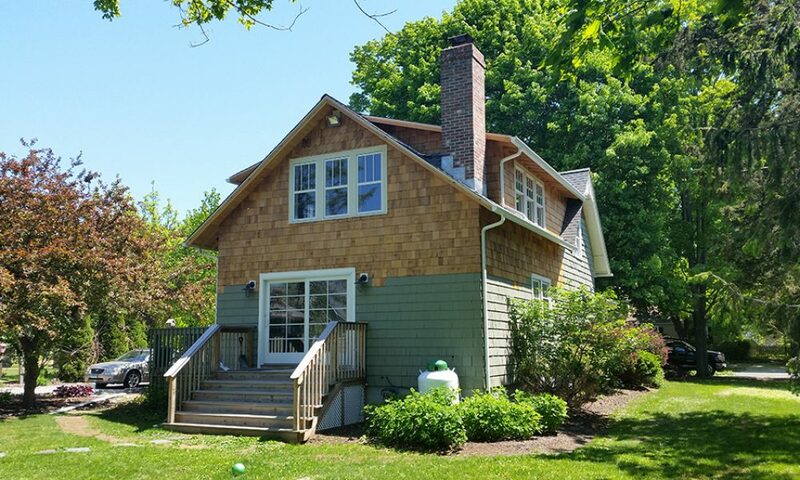 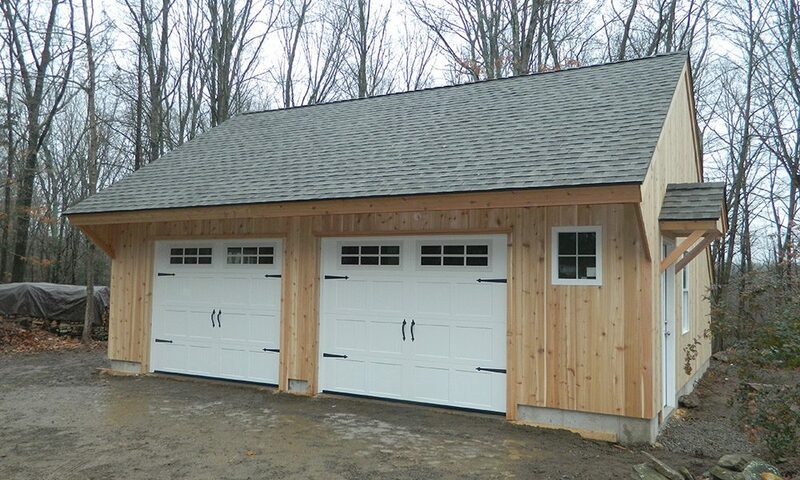 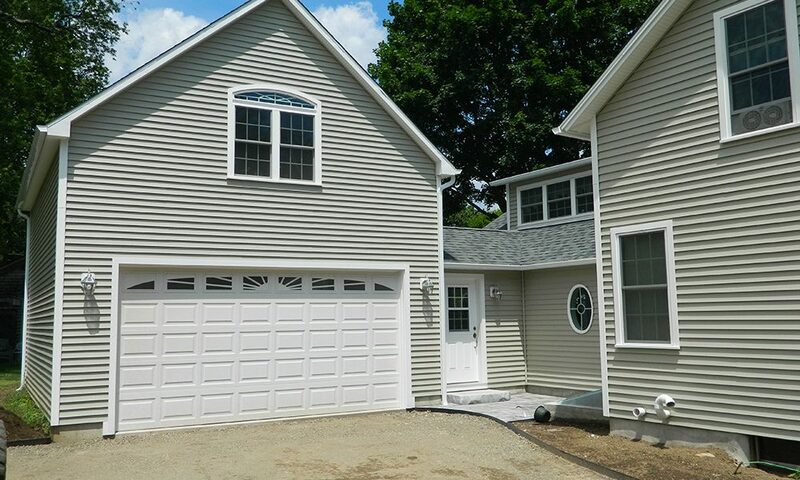 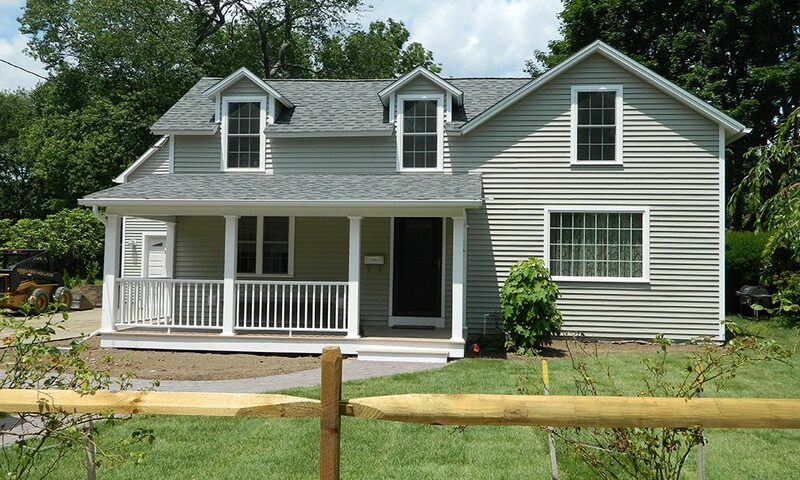 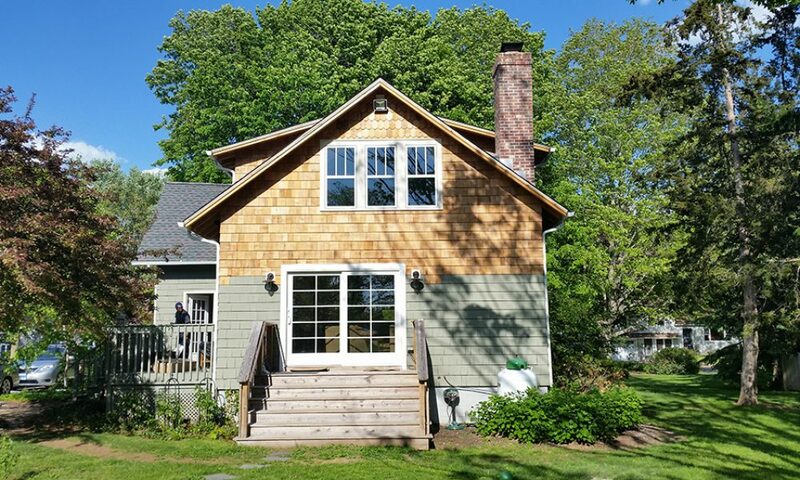 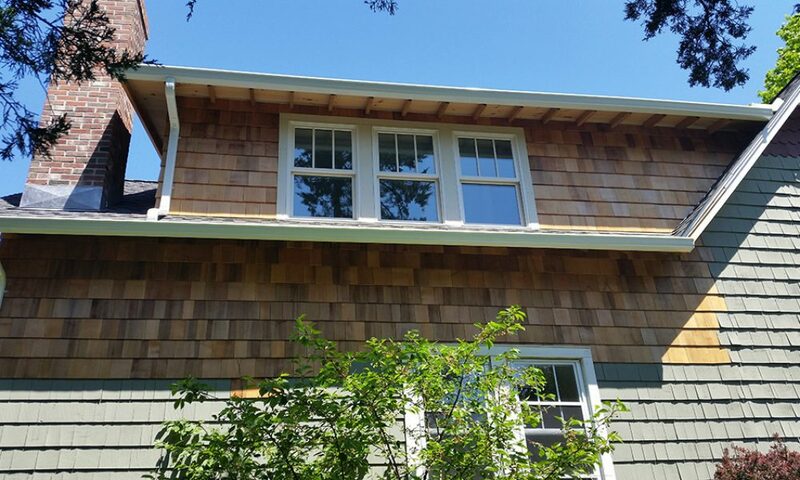 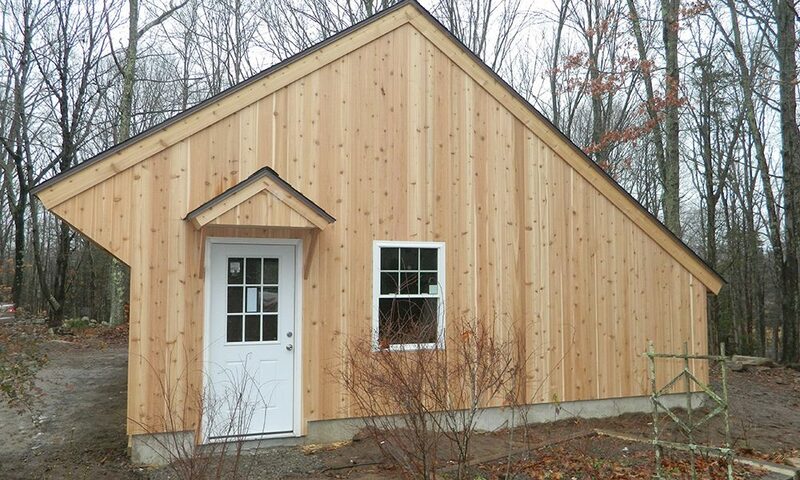 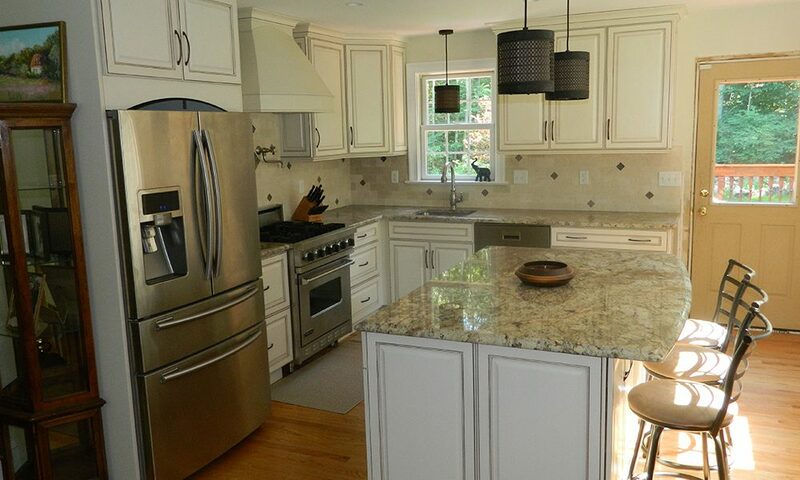 We added a garage, workshop, and mudroom to this home in old saybrook. 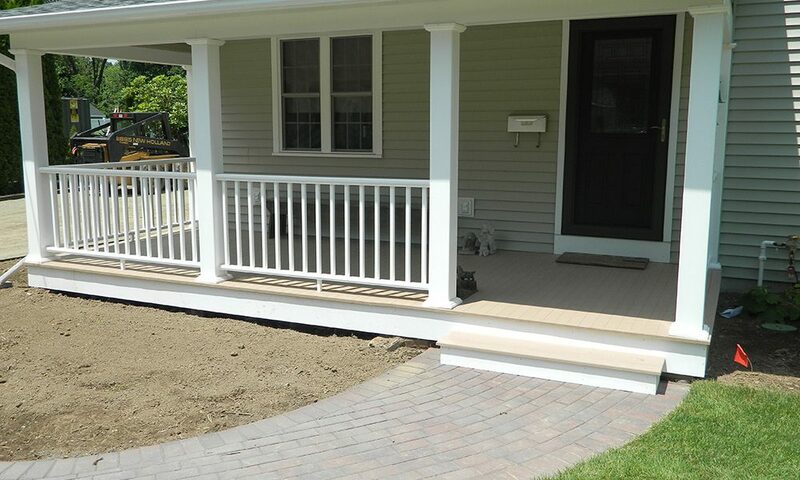 To finish it off we sided the entire house and revamped the porch with all maintenance free materials. 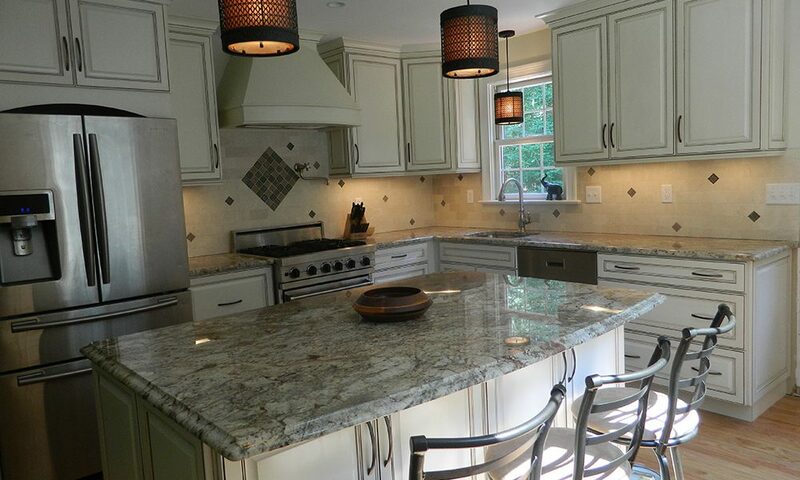 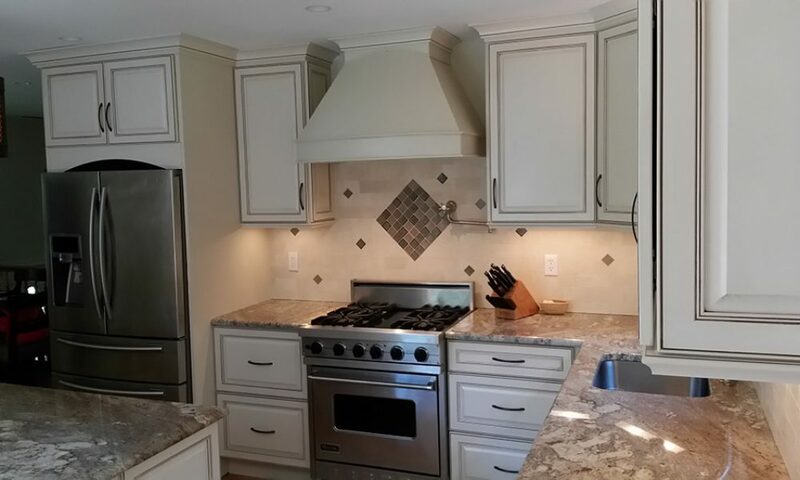 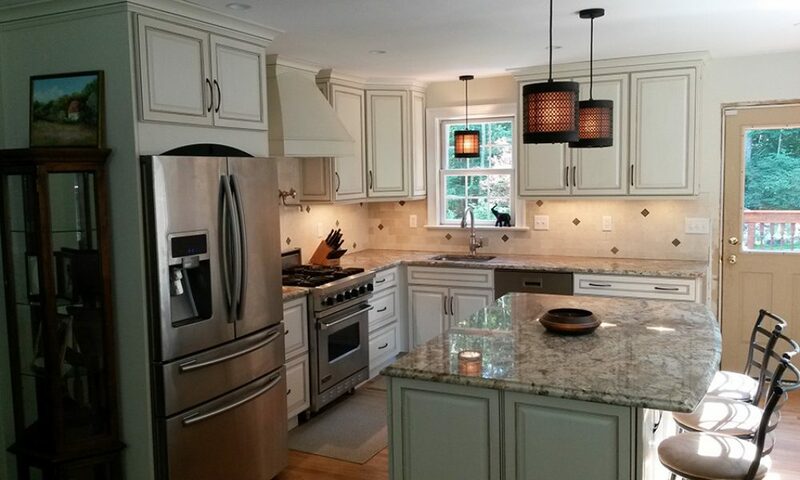 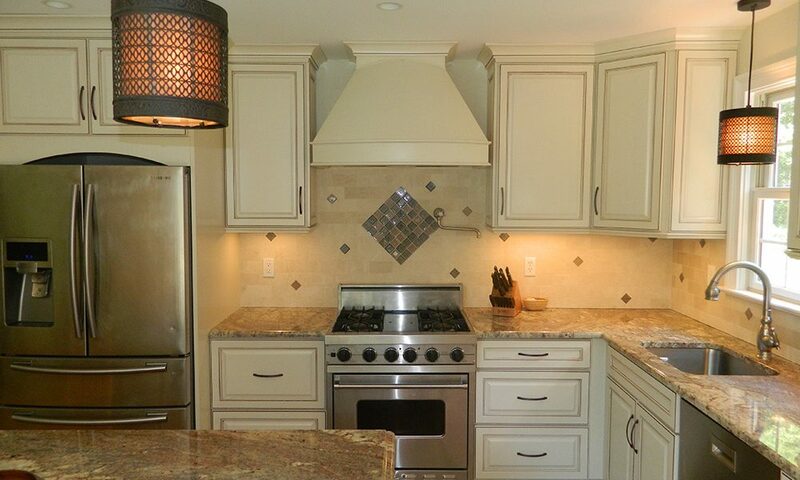 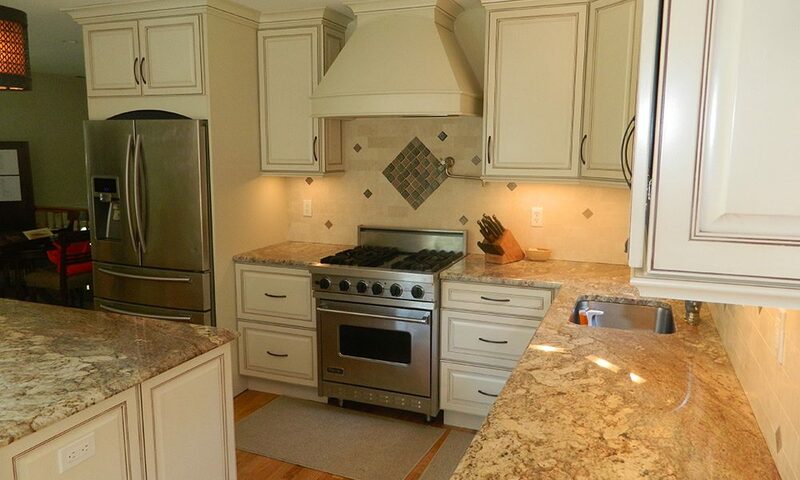 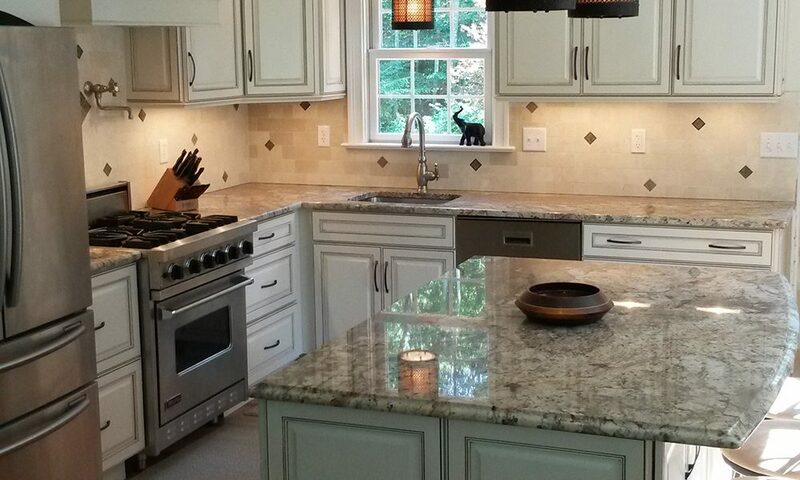 This is a kitchen renovation in Guilford close to twin lakes, complete with pot filer, custom exhaust hood, and 1 of a kind tile backsplash.